Prof. Dr.-Ing. Benedict M. Mutua, PhD, Rer. Nat. Prof. Dr.-Ing. Benedict M. Mutua obtained his PhD in Water Resources and Environmental Engineering from the Universität für Bodenkultur (BOKU) Wien (University of Natural Resources and Life Sciences, Vienna, Austria (2005). He obtained a MEng. Sc. in Civil and Environmental Engineering from the University of Melbourne, Australia (2000), where he specialised in Hydraulics Engineering. He also has a BSc. in Agricultural Engineering from Egerton University, Kenya. In addition, Prof. Dr. Ing-Benedict M. Mutua has a Postgraduate International Postgraduate Certificate in Data Base Management in Applied Meteorology and Hydrology from Bet-Dagan Institute of Hydrology and Meteorology, Tel Aviv, Israel and a Diploma in Soil and Water Engineering from Egerton University, Kenya. 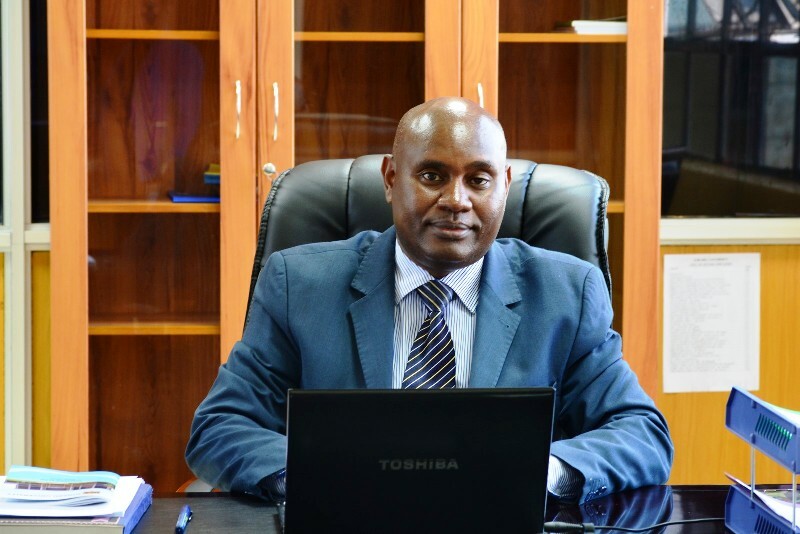 He started working at Egerton University in 1990 as a Teaching Assistant and has risen over the ranks to the level of an Associate Professor of Water Resources, Hydraulics and Environmental Engineering as well as an experienced researcher. His main expertise as a Water Resources, Hydraulics and Environmental Engineer is in the areas of Applied Hydraulics, Fluid Mechanics and Dynamics, Water Resources Engineering, Sanitary Engineering and Applied Hydrology. He is experienced in the application of Hydraulics and Hydrological models in solving Water Resources challenges especially in River Basin Management, Flood prediction, Modelling of sediment transport to receiving water bodies, Drought assessment and forecasting as well as in Climate and Land use change studies. Prof. Dr.-Ing. Benedict M. Mutua is involved in a number of Community outreach and Extension Services especially in the area of Water, Sanitation, Health and Education. He has recently been involved in developing a Simplified Planning Tool (SPT) for Integrated Water Supply and Sanitation in Small and Fast growing Towns in Kenya. He has presented his research work in many international, regional and national conferences. He has supervised many postgraduate students both at MSc and PhD levels and has published several scientific articles in refereed International Journals. He has published two books and four book chapters and he is currently finalizing on a book on Drought Forecasting in Kenya. He is a member of several International, Regional and National Professional bodies. He serves in a number of Editorial Boards of International Journals in the area of Water Resources, Hydraulics and Environmental Engineering. He is also a member of several International Scientific Conference Committees. He is an External Examiner for several Universities. He has won several European Union, African Union, Regional, National and other Internationally funded projects. He has widely traveled and has collaborative research activities in several countries. He has linkages and collaborations with many Universities. He has been trained in many professional short courses both nationally and internationally. He has received several recognitions as a Professor, Leader and Researcher. Prof. Dr.-Ing. Benedict M. Mutua desires to continuously contribute his professional expertise towards realizing the Kenyan Vision 2030 and the Sustainable Development Goals. As the Deputy Vice Chancellor in charge of Planning, Partnerships, Research and Innovation at Kibabii University, Bungoma in Kenya, he is determined to provide an all inclusive leadership in realizing Kibabii University’s vision of being “a Global and Dynamic University of Excellence in Science, Technology and Innovation”. His focus is built on three (3) pillars namely; the People, Processes and Products.